Urban vacancy in San Francisco. Photos: de Monchaux. 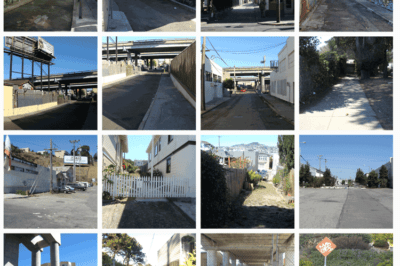 Nicholas de Monchaux, an urban design professor at UC Berkeley, has designed a project called Local Code that maps the underused sites in a city’s infrastructure and analyses how these spaces could be used to improve the local ecology.